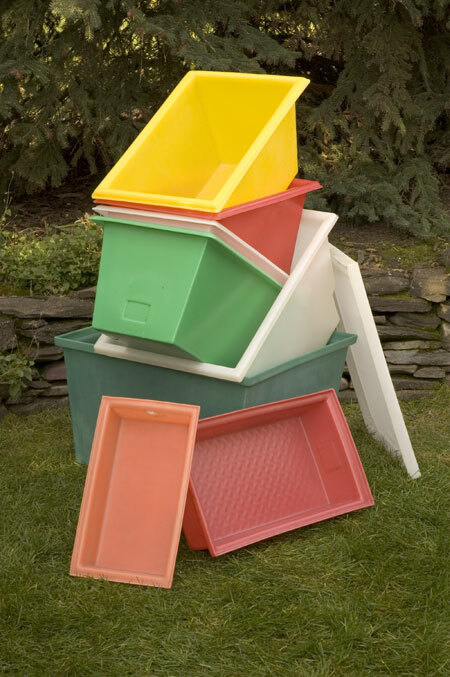 This group of plastic container products covers many applications like vegetable growers, meat processors, bulk materials handling for warehouse, industry and institution. Some items are available with lids to allow stacking and our inventory of colors is extensive. Most containers are listed on our CFIA file.